Made a mistake? Rub it out with a little help from the undead! These Gore On Error rubbers will make a superbly spooky addition to your pencil case - you get six in a pack, and each one has its own unique, zombie-riffic design! 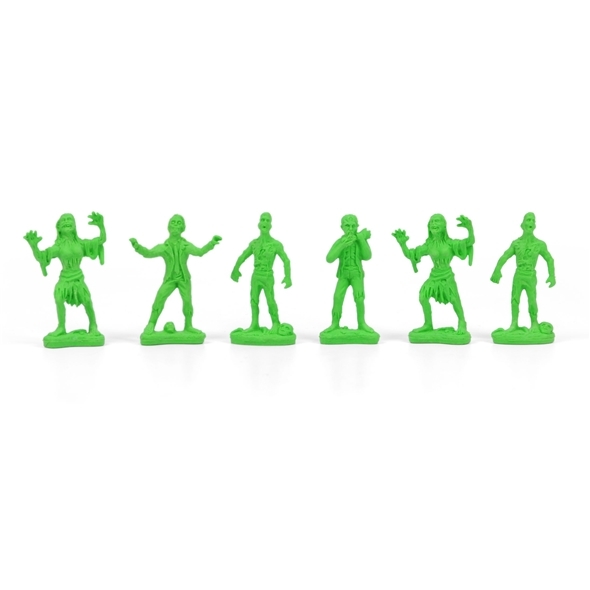 Perhaps the coolest thing about our zombie erasers is the fact that they decay as you rub. This really adds to the illusion that you're correcting that grammatical error with a rotting corpse made animate. What fun! If you want a rubber that's a little out of the ordinary, these Gore On Error erasers are just what you're looking for. They'll turn your pencilcase into the stationery equivalent of George Romero's Dawn of the Dead, and they'll come in handy if you ever make a mistake. 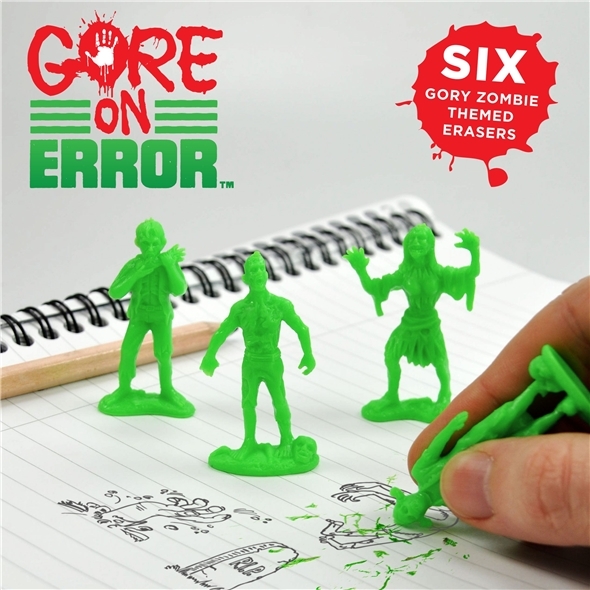 Each Gore On Error pack contains 6 zombie erasers. 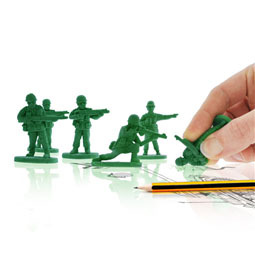 Just like any rubber, each zombie will decay as you use it, leaving you with headless zombie erasers. Which we think is even cooler.